The tattoo phenomenon has swept the world this past generation. 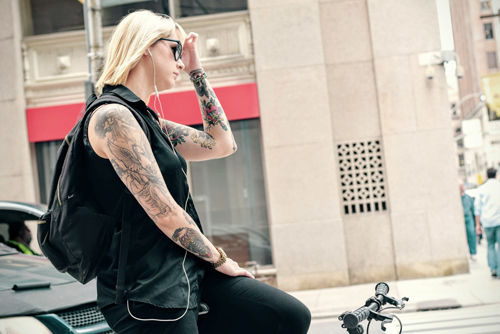 What’s been most surprising is the surge in women opting for tattoos in recent times. It all started off will small images, like a cute butterfly on the back of one shoulder, or a little decoration around the navel. It has now escalated to huge tattoos, whole body coverings in some cases. Women who have lots of tattoos are still quite a young crowd. How they feel about their body art as they become much older remains to be seen. There will be some regrets for sure. The good news is that we have better technology now for tattoo removal. Singapore clinics offer fast removal services at reasonable costs. So, let us take a look at each of these in turn. I will then go on to explain how the removal works and the outcomes you can expect. Aside from outdoor types of jobs, the workplace has always been quite intolerant of visible tattoos. When and where to remove tattoo markings from, all depends on what you have and where it is. If you have to wear a uniform with short sleeves, that could cause problems if you have tattoos on the upper and lower arms. Any markings you cannot cover with clothing will be the most problematic when it comes to some careers. Today there is a lot more tolerance than their used to be. One of the reasons for this is because so much of the younger workforce now has tattoos. This makes it quite difficult to find employees who are not tattooed. So there is a lot more tolerance today than there was in the past with this, but they can still hold you back in certain professions. For example, you will never sit opposite a bank manager with body art creeping up along the sides of his neck. As I say, there is a lot more tolerance than their used to be. But it’s also a fact that visible tattoos will prevent you from entering some professions. Whether it’s right or wrong is a topic worthy of discussion, but it’s not the purpose of this piece to look into the ethics of it or voice opinion. If you have tattoos that you can cover up with clothing, then you’ll be fine. For those of you who can’t, you may run into career setbacks, especially if you’re a woman. We’re more likely to do stupid or rebellious things when we’re in our youth. An 18 year old lad might think it’s a great idea to get a naked lady tattooed onto his upper arm. When he’s a responsible dad in his 30s, that tattoo might bother him. There is plenty of body art done in haste or under the influence of alcohol. These are the kind of markings that often come back to haunt the individual later on in life. A poor quality tattoo can end up looking like and unsightly, grubby mark on the skin. We don’t see as many of these today on newer tattoos, but there are plenty on the over 50s. This is a generation that often used to go down the Do It Yourself (DIY) route to save money. Sometimes an inexperienced, though well-meaning friend would have a go. Either way, a lot of these amateur attempts look terrible. Thanks to new technologies these grubby marks can come off quite easily. As we grow older our interests and opinions on things can change. For example, you might have a tattoo that makes a political statement that you no longer support. Whatever it happens to be, if it conflicts with your interests now, you might want to look into having it removed. This is the most common reason why people opt for tattoo removal. Singapore gets a lot of clients wanting the name of ex-partners removed. One of the golden rules in tattoos is to never get the name of a significant other drawn onto your person. It’s also the rule that most people take no notice of. 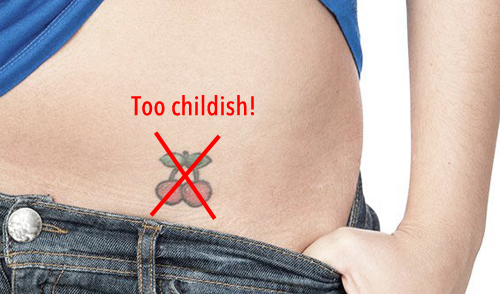 OK, so these are the five main reasons why people may later regret their tattoo. Now let’s look at your options for removing unwanted body art. In the past, tattoo removal was a bit hit-and-miss. A lot of it depended on the type and size of the tattoo, the colours and the client’s expectations. Older procedures also required 10 or more visits to attain the desired effect. Fortunately, this is no longer the case. In Singapore we now use a powerful and effective technology called PicoWay and PicoSure. The older tattoo methods could take up to 15 treatments in some cases, over a two year period. Our technologies will do the same job in half as many treatments and within just 6-10 months. That’s a significant improvement on older techniques. How PicoWay and PicoSure works is by picking up all the ink on your skin. As it does this, it destroys that ink into microscopic pieces which your body then absorbs, thus removing it from sight. Although this is not a painful experience, at least not for most, it can be somewhat uncomfortable. Pain threshold means different things to different people of course. The best way to describe this treatment is that it’s similar to the flick sensation of an elastic band. The doctor who performs the tattoo removal will most likely apply a cooling gel before starting the treatment, as a way to ease any discomfort. Tattoo removal is not the long-winded ordeal it once was. Best of all is that these new treatments are quite affordable. Furthermore, you need fewer visits over a shorter period of time than with the more conventional therapies.